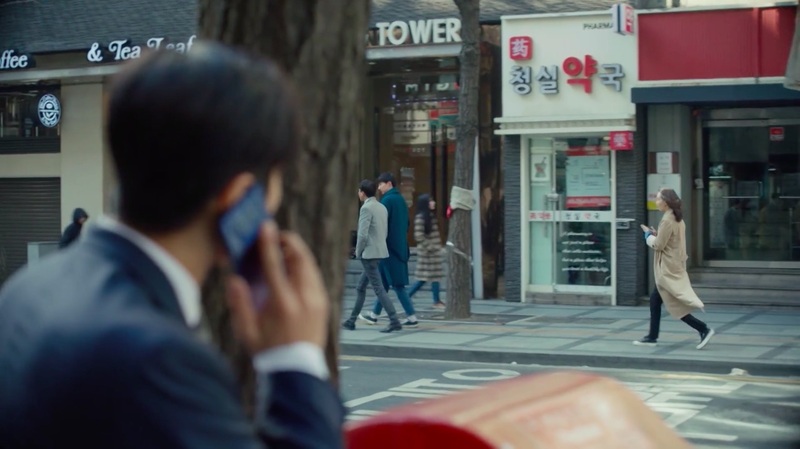 Yang Jung-guk (Choi Si-won) spots Kim Mi-young (Lee Yoo-young) talking to the two elderly buyers in episode 7 of My Fellow Citizens!/Fellow Citizens (국민 여러분!) 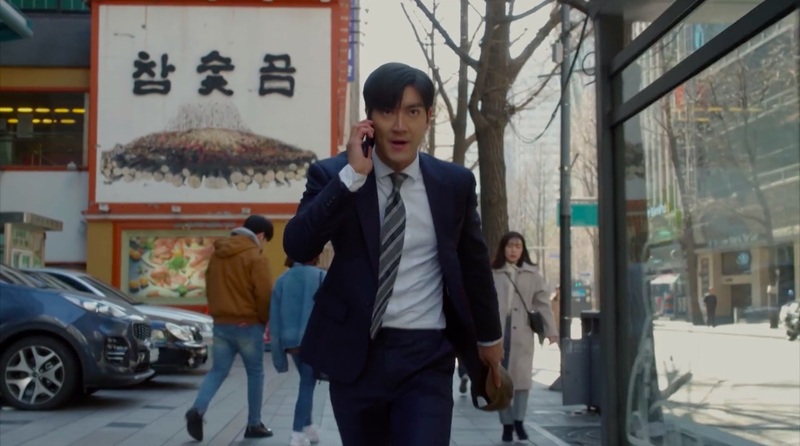 (KBS2, 2019). 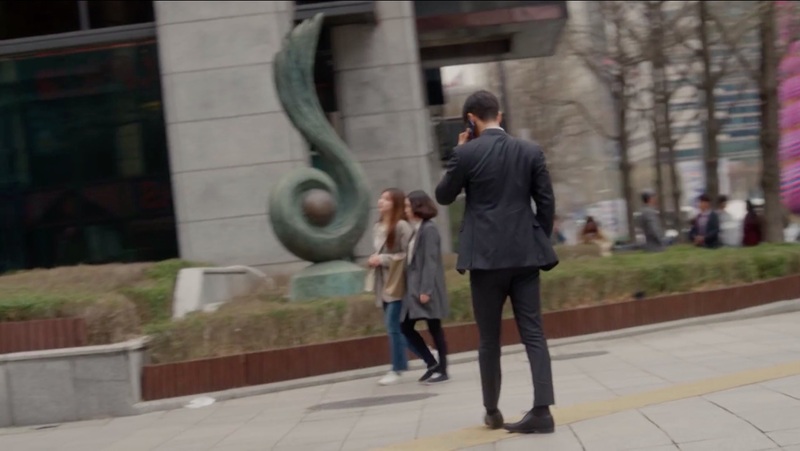 After the couple leaves, he calls her on the premise of finding out where she is. 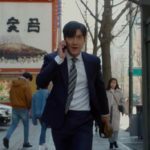 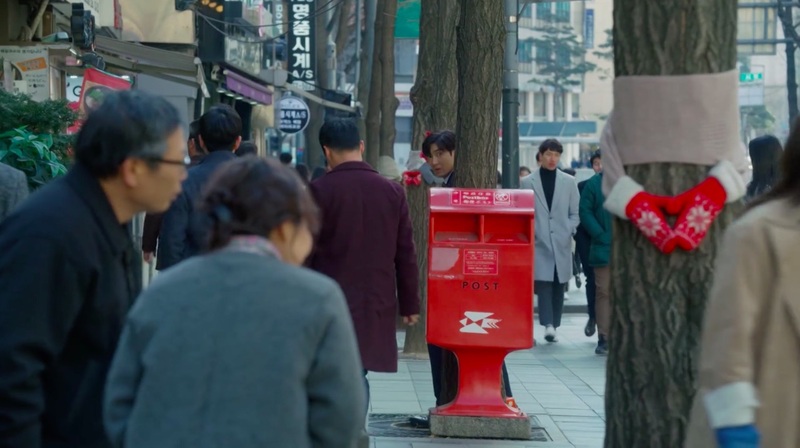 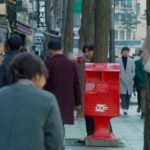 In episode 9, Jung-guk parks further up the street and stands outside a building to call Charles (Yang Dong-geun) along the street and let him know his status. 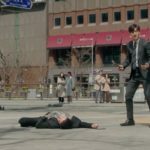 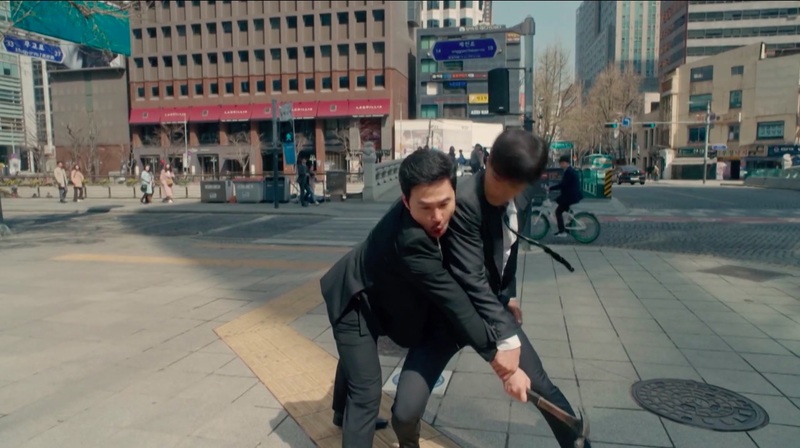 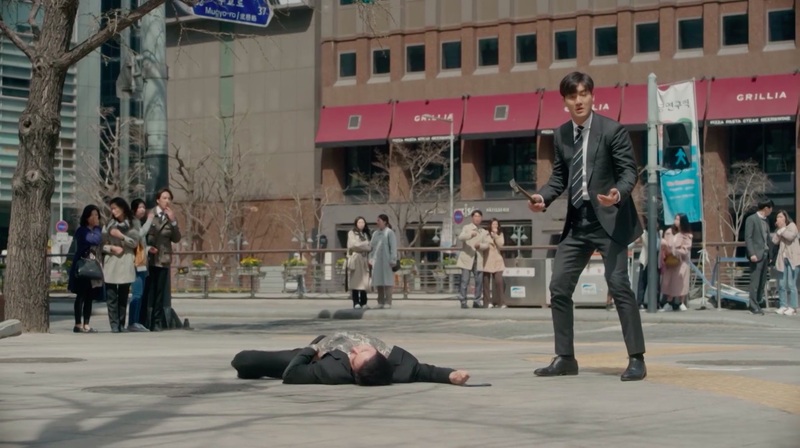 In the meantime, Park Hoo-ja’s (Kim Min-jung) henchman Choi Pil-joo (Heo Jae-ho) tries to sneak up on him to strike him from behind with a hammer, but the well-trained Jung-guk was able to overthrow him in no time. 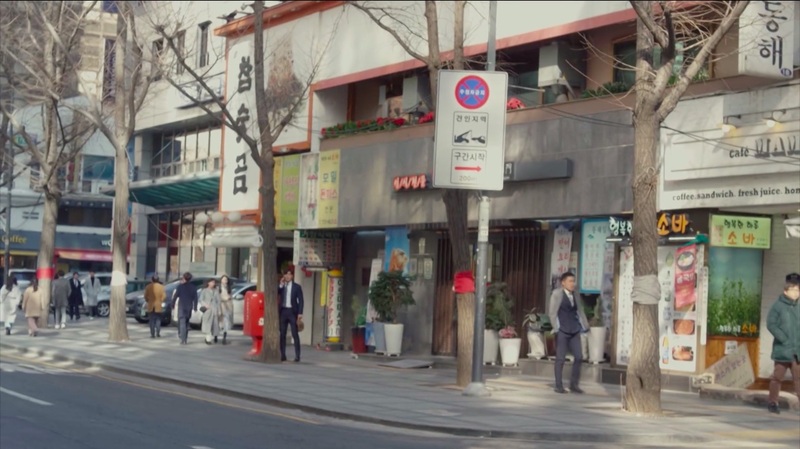 Mugyo-ro [무교로] is located in Seoul’s neighborhood of Mugyo [Mugyo-dong/무교동], in the Jung District [Jung-gu/중구]. 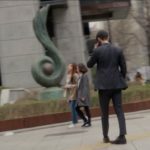 An approximately 5 minute walk north from 참숯골 will bring you to the Mojeon Bridge/Mojeongyo [모전교] section of Cheonggyecheon Stream [청계천].